Kids love their stuffed animals to pieces. Literally. And that makes those stuffed animals pretty gross. In fact, 80% of them are covered in harmful bacteria. 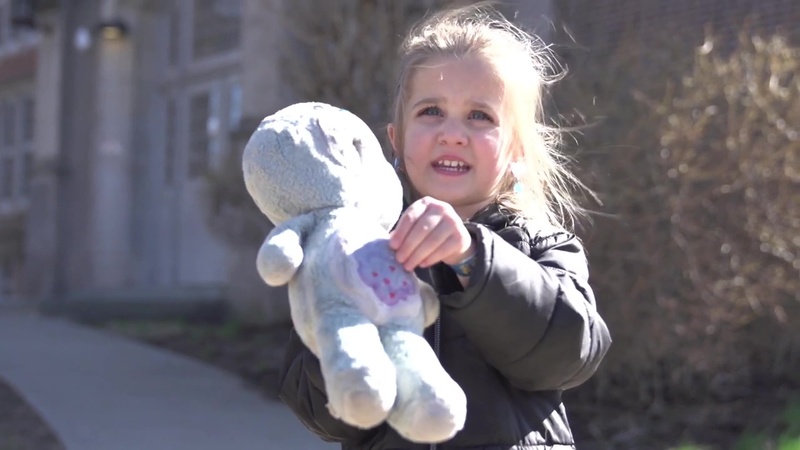 Lysol wants to help bring these teddies back to life via this initiative from McCann New York. The brand is launching Teddy Repair, a program to help fix and disinfect kids’ tattered and germy stuffed animals. Parents can apply online for their stuffed animal to be part of the program. Lysol will select the 500 bears in need of the most care to be admitted to Teddy Repair. Those stuffed animals will then be repaired by our team of expert menders and washed and sanitized with Lysol Laundry Sanitizer – which, unlike regular detergents, actually kills bacteria. And because kids have such strong attachments to their teddies, Lysol will allow children to follow their stuffed animal’s entire journey on their parents’ phones. Every stuffed animal will be outfitted with a tracking bracelet. Each time it moves to a different step in the process, the bracelet will be scanned and a photo of the teddy will be taken. Parents will get a personalized text message updating them on Teddy’s progress. After the stuffed animals have been mended and sanitized, they will be carefully packaged and sent back to kids, helping parents protect the special bond that exists between their children and their furry friends. Client Reckitt Benckiser/Lysol Agency McCann NY Eric Silver, chief creative officer, North America; Thomas Murphy, Sean Bryan co-chief creative officers; Maru Kopelowicz, EVP, executive creative director; Tyler Gonerka, Emily Salas, associate creative directors; David Mashburn, George Katz, co-design directors; Grace Schottelkotte, designer; Nir Refuah, executive technology creative director; Craig Bishop, sr. art director; Emily Alek, jr. copywriter; Sarah Watson, EVP, global strategy director; Justin Ballheim, VP, strategy director; Jordan Berger, social strategy director; Ellie Frame, strategist; Nathy Aviram, chief production officer; Christine Lane, SVP, executive producer, innovation; Chance Bassett, VP, executive producer; Mihae Mukaida, sr. innovation producer; Erik Kroha, VP, director of technology; DJ BunnyEars, SVP, executive integrated music producer. Production McCann NY Eric Perini, sr. content creator; Brett Berman, Aude Cuenod, original content creators. Editorial Craft NY Lia Kastrinakis, Matt Ranson, editors; Will Kaplan, producer. Technical Design Your Majesty Co. Kristofer Forsell, technical director & partner; Lotte Peters, associate creative director; Jennifer Pereira, digital producer; Dodi Raditya, technical lead.